Summer Singing Camps for Kids, plus Christian boarding schools and Christian boarding schools. You don’t have to win, or even compete in, high profile television shows such as America’s Got Talent or the X-Factor to experience the thrill of live performance. For every budding Selena Gomez or Justin Bieber just waiting for their spot in the limelight, there is no better summer vacation experience than singing camps for kids. With a warm and welcoming atmosphere perfect for encouraging talent, singing camps take out the overly competitive nature of singing contests and focus on the lost art of good, clean fun. Here is a look at what the best choral and band camps on offer across America have for your child. Photo by technochick on Flickr.com. Used under Creative Commons Licence. Whether your kid is into Glee club, big Broadway hits, the latest pop music or something a little more rock and roll, they are bound to find something to fit their niche at a summer singing camp. At camps such as the famed and fabled America Sings competition, one of the greatest non-competitive choral camps in the nation, kids sing ensemble pieces from a wide variety of musical genres. One minute they may be belting out the words to the national anthem, the next checking out the lyrics to the latest Kelly Clarkson or One Direction smash hit. Musical gatherings don’t have to be overly competitive or exclusive; if you feel your child would be better off in a nurturing, inclusive environment that addresses the needs of kids at all talent levels, then a camp such as America Sings! would be ideal. While shows such as American Idol promote fierce competition, and all the heartbreak and agony that comes along with it, summer singing camps ensure that everyone gets a chance to fulfil their dreams, enjoy singing with others and, if they wish, their own moment in the spotlight. Instead of stinging critiques from the likes of Simon Cowell, kids will get positive feedback and constructive, encouraging words from experienced mentors, who help develop all important feelings of confidence and self-worth. 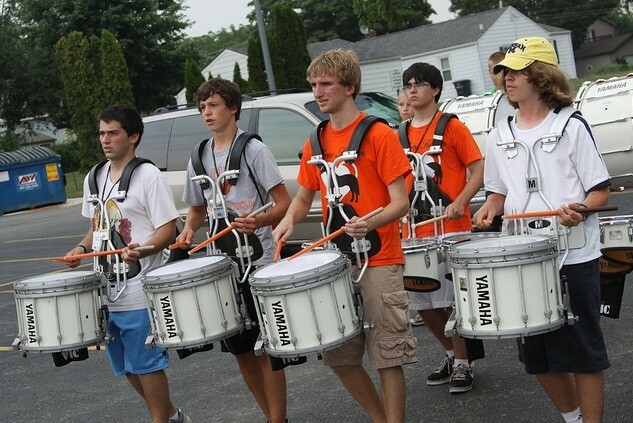 Whether your child is barely out of their “tweens” or is looking at educational senior class trips to develop their pre-college resume, a summer music camp may be just what they are looking for. No matter how experienced a singer they happen to be, or how young they may feel, your child will be made to feel welcome, and given the level of responsibility befitting their age. Older kids can assume roles with more demands, help shaping leadership and team building roles, while younger teens will get to learn from positive role models just a few years older than they are. Choral camps aren’t just about the music, however, as plenty of programmes ensure that children give something back to the community. Charity events, community service projects and other richly rewarding activities will help broaden horizons and ensure your child becomes an active member of society. Concerts and singing events in front of the general public are another opportunity to showcase talent and connect with the wider world. Not every second at a summer music camp is going to be filled with song and dance, so it is important to choose a location that offers plenty of excitement. And there is perhaps nowhere better for a teenager to be in the summer than Orlando, where the weather is great, and attractions such as Universal Studios and Walt Disney World are just a few minutes away. As an added bonus Orlando is not too far from the beach, so kids enjoying a longer stay at choral camp can enjoy excursions to America’s greatest sands. John is an author who has covered travel topics as varied as securing the best senior class trips abroad, to finding the cheapest Trans-Atlantic flight. Should you need help finding troubled girl boarding schools or boarding schools or boarding schools troubled boys or troubled teen ranches, please let us know. Therapeutic programs and schools like this will provide treatment for troubled teens. Boarding Schools (Emotional Growth Schools and Therapeutic Boarding Schools) provide supervision and counseling for at-risk teenage boys and girls. Rehabs for teens provide addiction counseling and drug abuse recovery. Residential Treatment Centers offer clinical treatment with both academic and behavioral support, plus medication management and medical monitoring. They treat adolescents with serious psychological and behavioral issues, are highly structured, and they offer recreational and adventure activities.